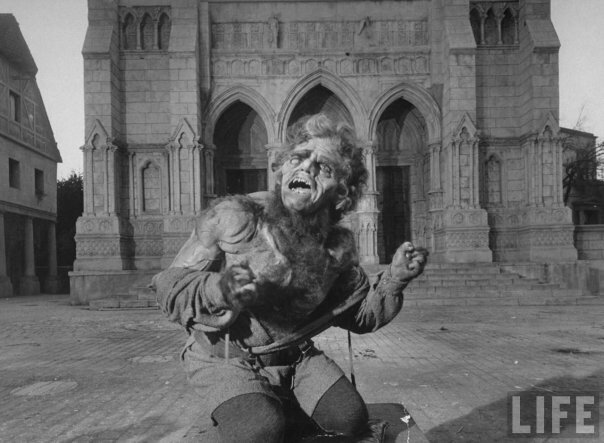 Lead the Way, Lon Chaney! Lon Chaney knows his way in the cathedral in "The Hunchback of Notre Dame". 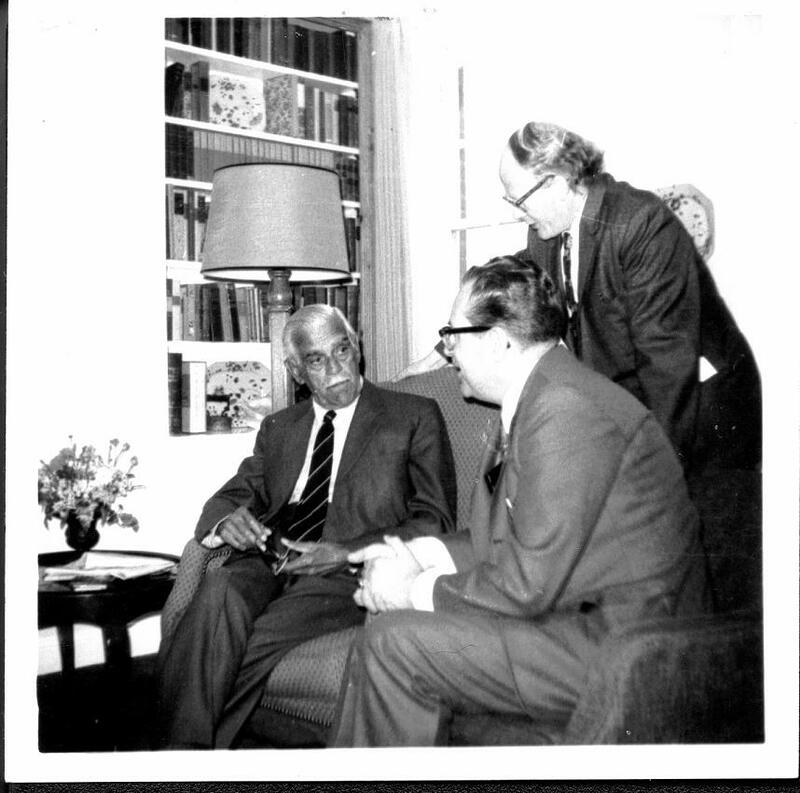 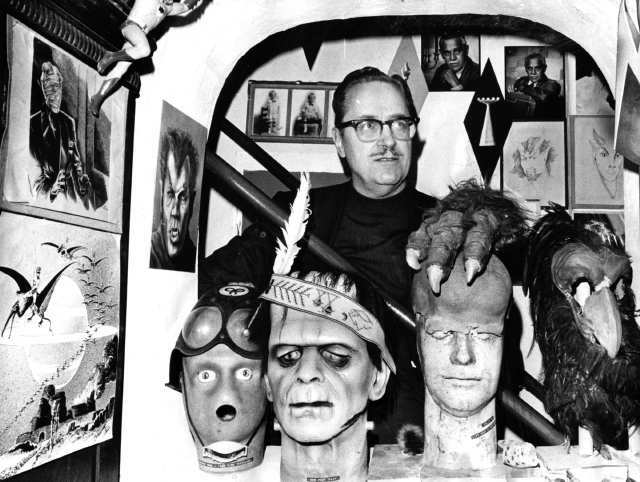 Will the real Forry Ackerman please stand up? 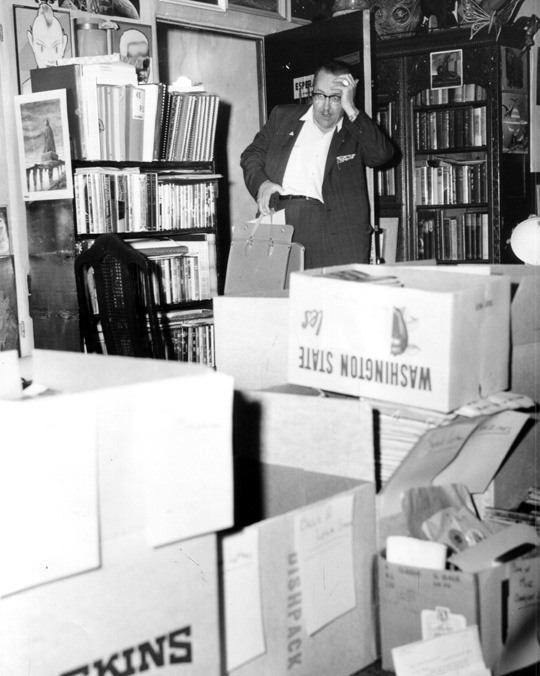 Moving to the new Ackermansion. Ray Harryhausen turns 90 today! 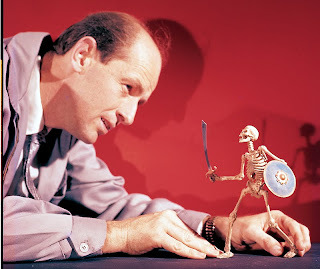 Happy Birthday to a real pioneer of stop-motion animation! 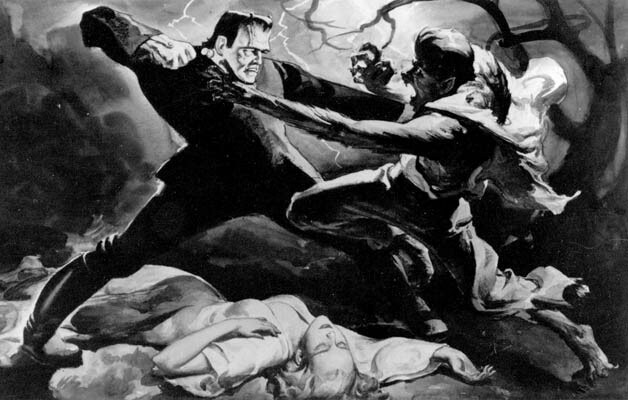 The Art of "Frankenstein Meets the Wolf Man"
This classic piece of art was on the movie poster for "Frankenstein Meets the Wolf Man". 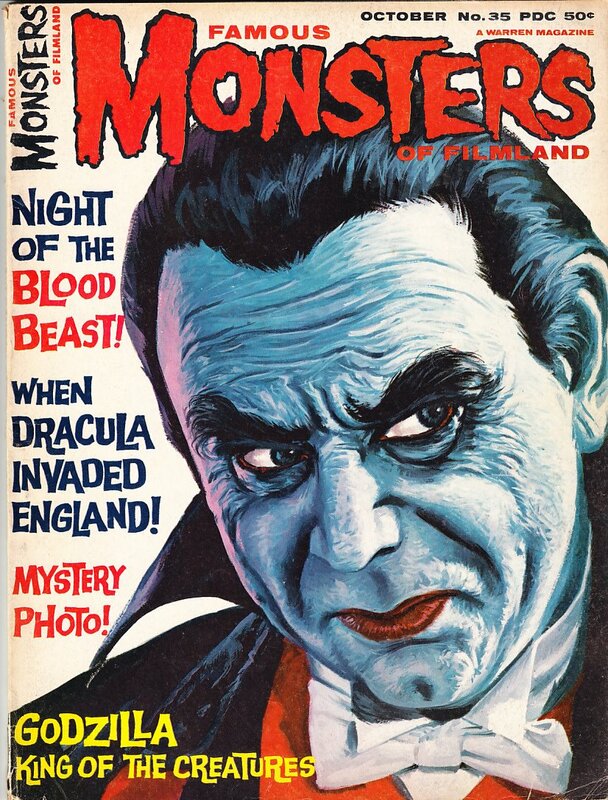 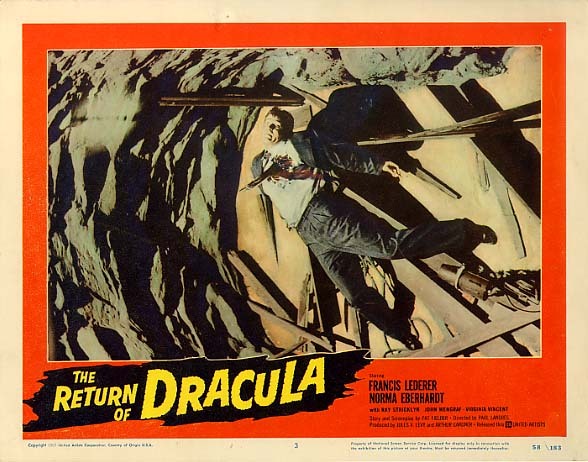 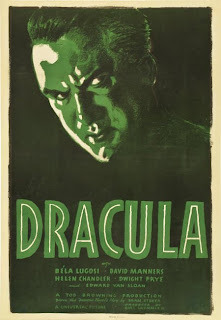 Monster Movie Posters: "The Return of Dracula"
For the next few months, Monday mornings will be "Monster Model Monday". 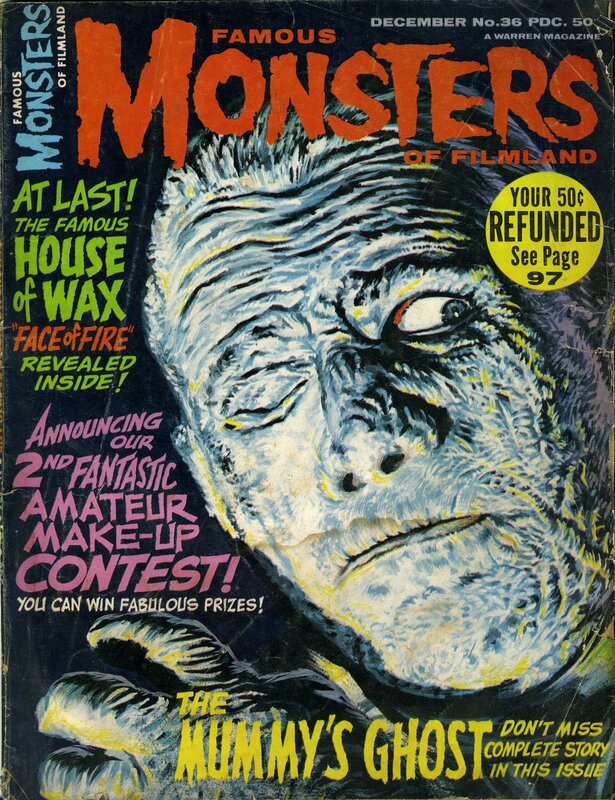 I will post an image of a monster model from my personal collection. Each model was built and painted by myself or my uncle, Mark Silverman. 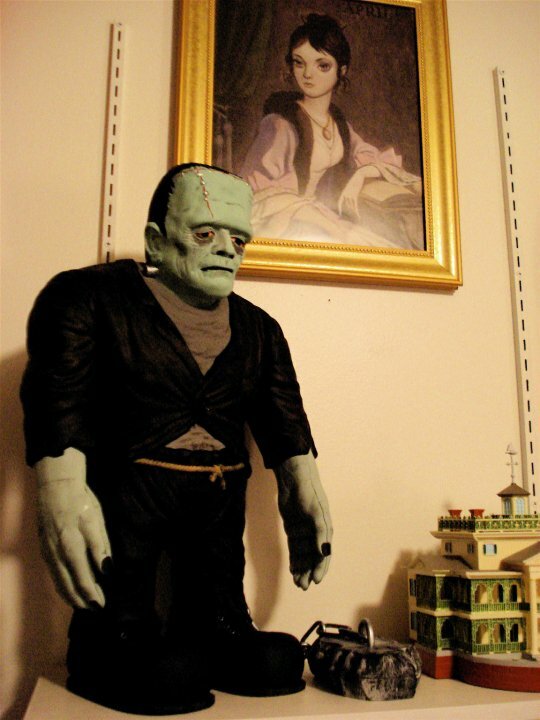 Built and painted by myself. 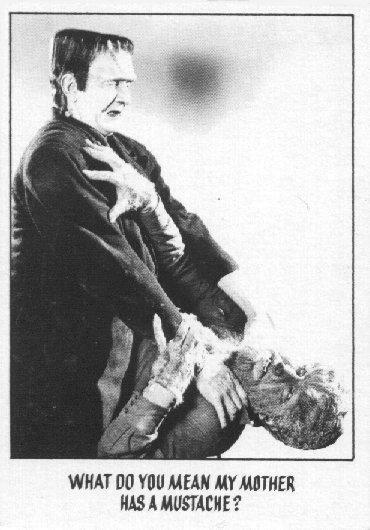 Bela Lugosi and Glenn Strange take a break from filming "Abbott and Costello Meet Frankenstein". A classic pose from a classic monster. 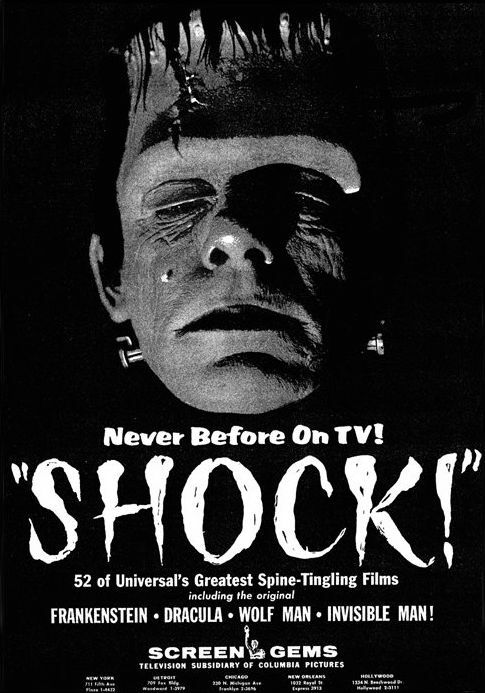 Here is an advertisement for the Shock package that would air old Monster Movies on television back in the 1960s. 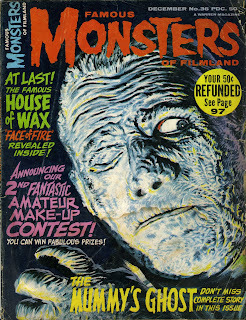 Oh how it must have been grand to see those movies back then. 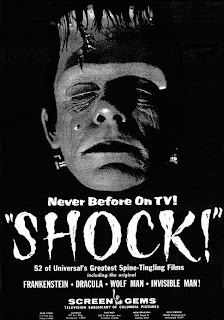 What Could Possibly Be So Shocking To Him? 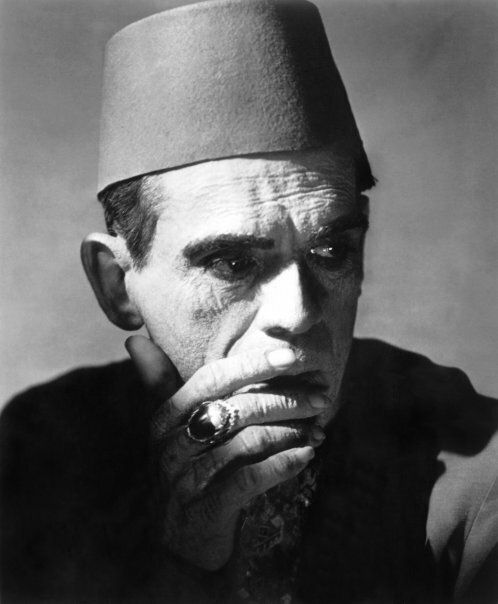 Here is Boris Karloff as Ardath Bey in "The Mummy". The Monster's vision and energy is fully restored in "Frankenstein Meets the Wolf Man". 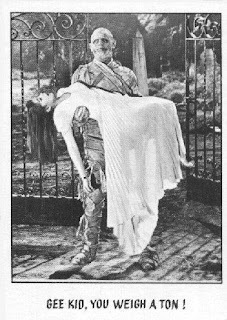 Here is a still from "Island of Lost Souls". 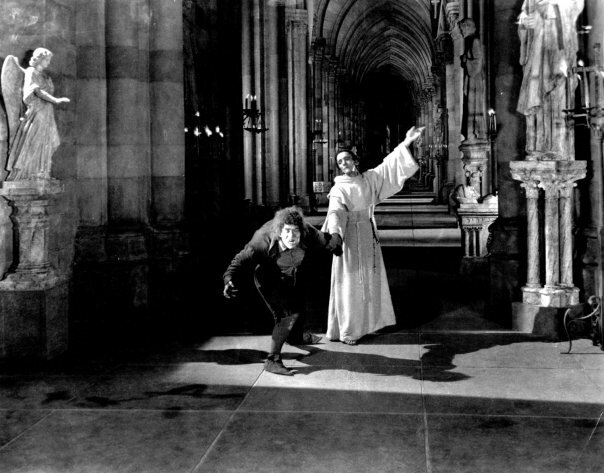 Quasimodo is put on display as the King of Fools in "The Hunchback of Notre Dame". 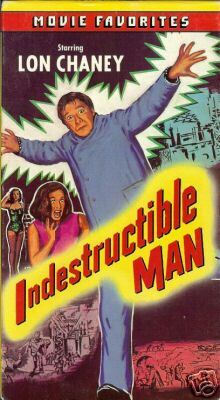 VHS Box Cover: "Indestructible Man"
The image of Lon Chaney on this box cover really used to scare the hell out of me when I was a kid. 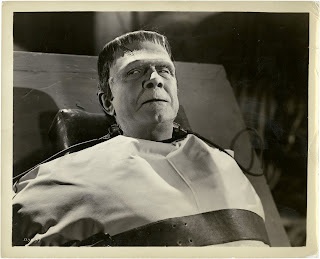 Here is another shot from Karloff's Birthday on the set of "Son of Frankenstein". 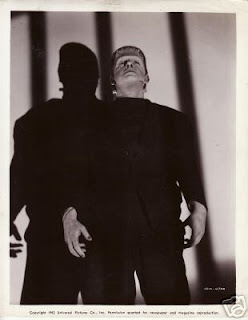 A Father would do anything to put his Son out of painful misery. Here Sir John Talbot takes the life of his son Larry in "The Wolf Man". 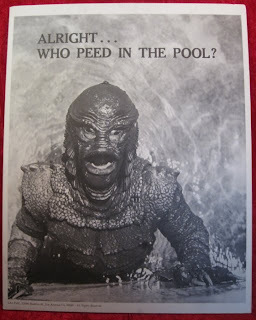 Have a Happy Father's Day! 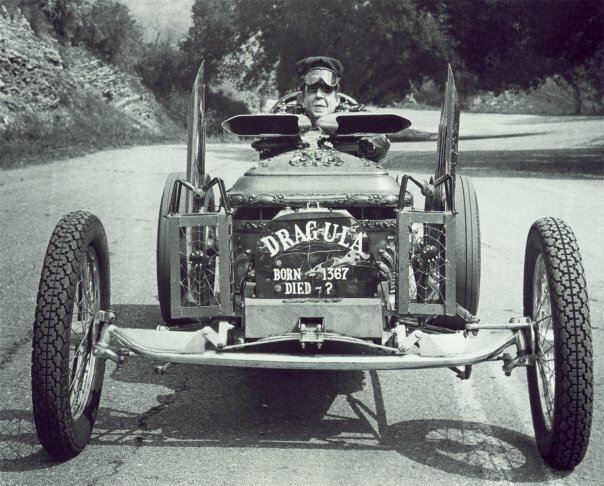 Herman Munster shows off his driving skills. 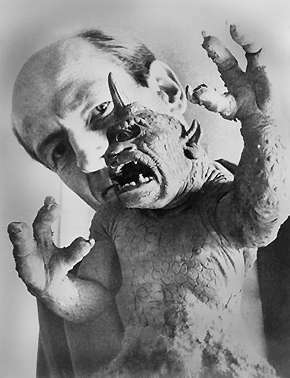 The Creature recovers from surgery in "Creature Walks Among Us". 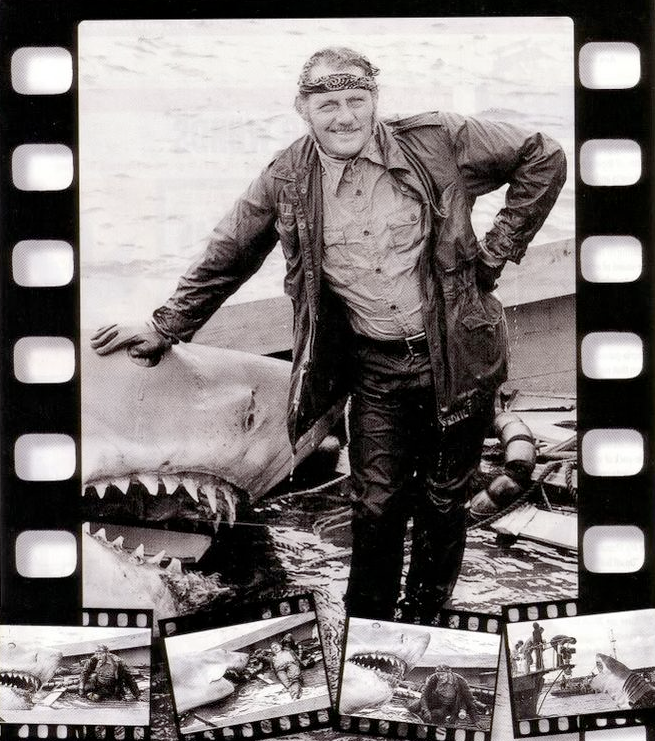 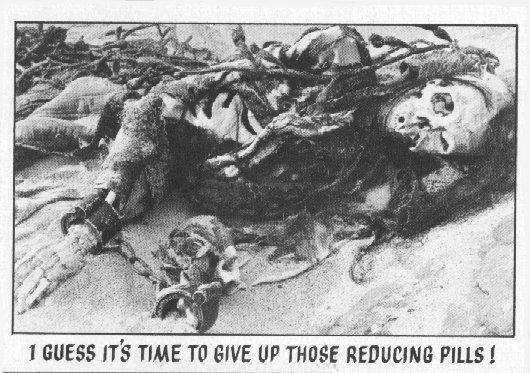 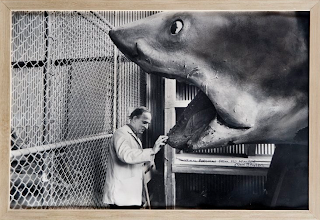 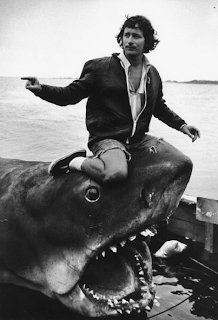 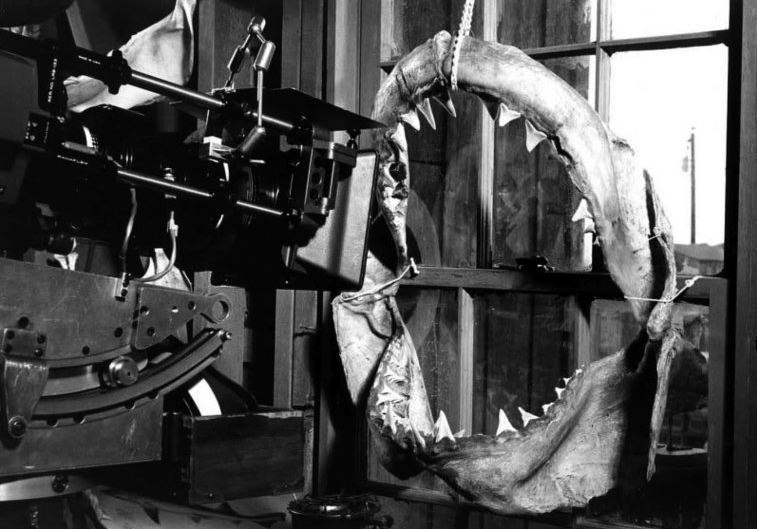 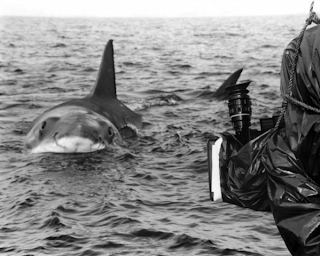 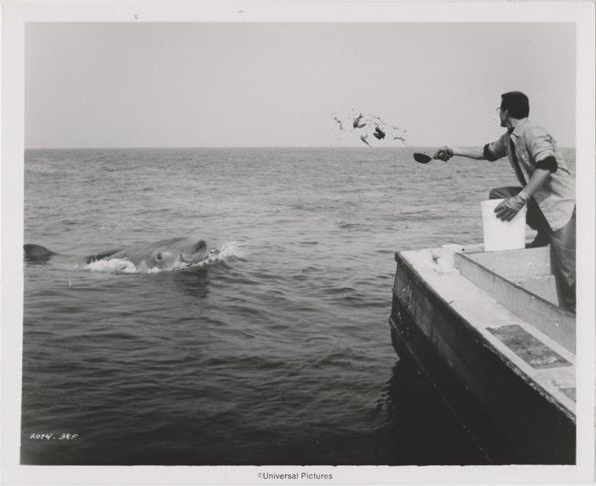 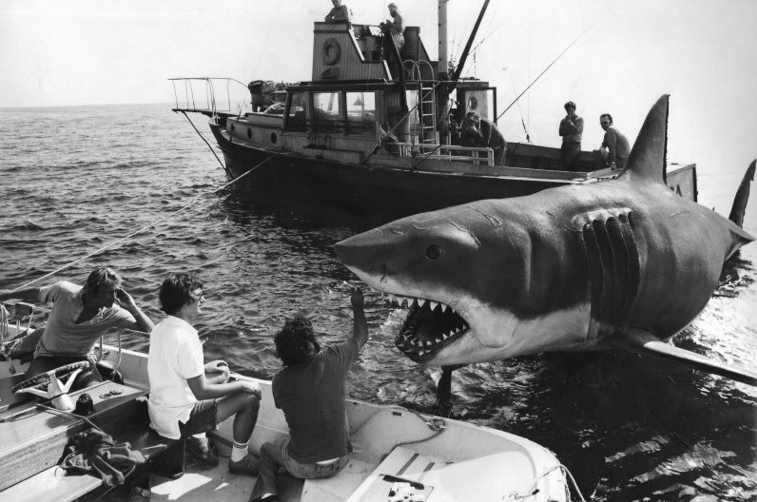 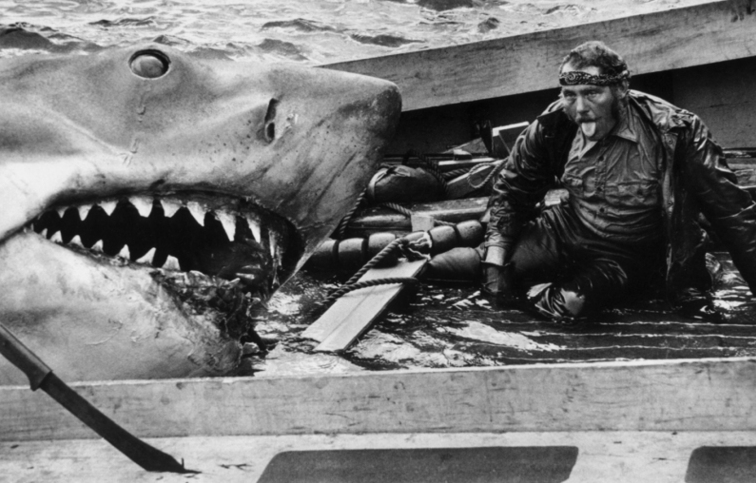 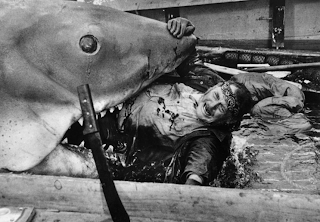 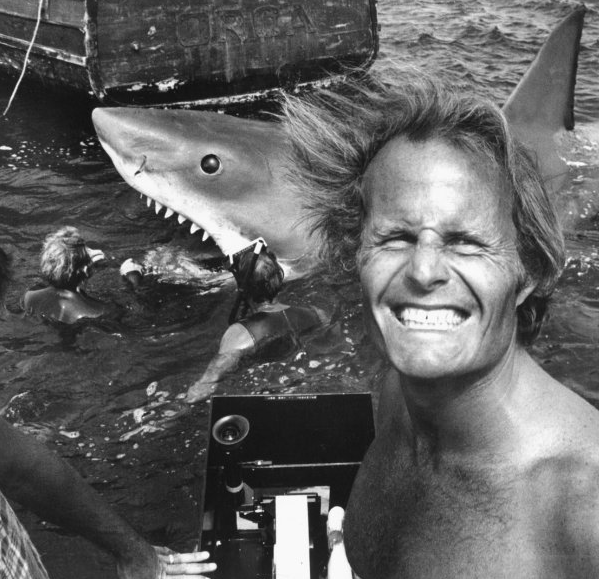 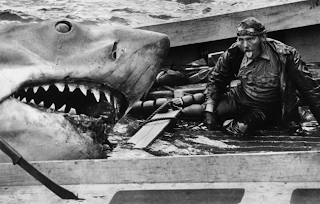 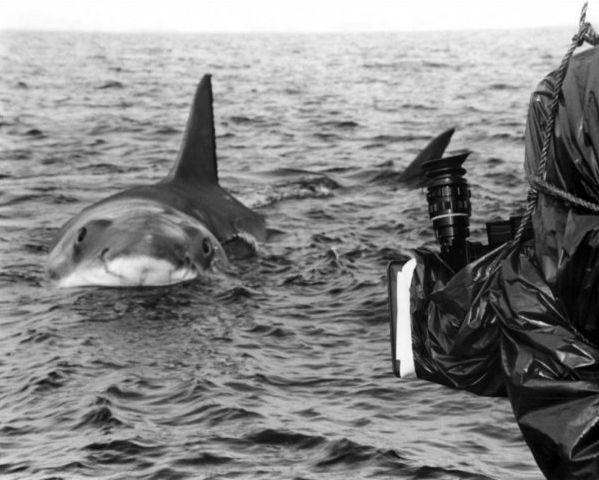 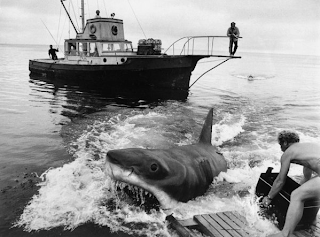 Here are some more behind the scenes stills from "JAWS". 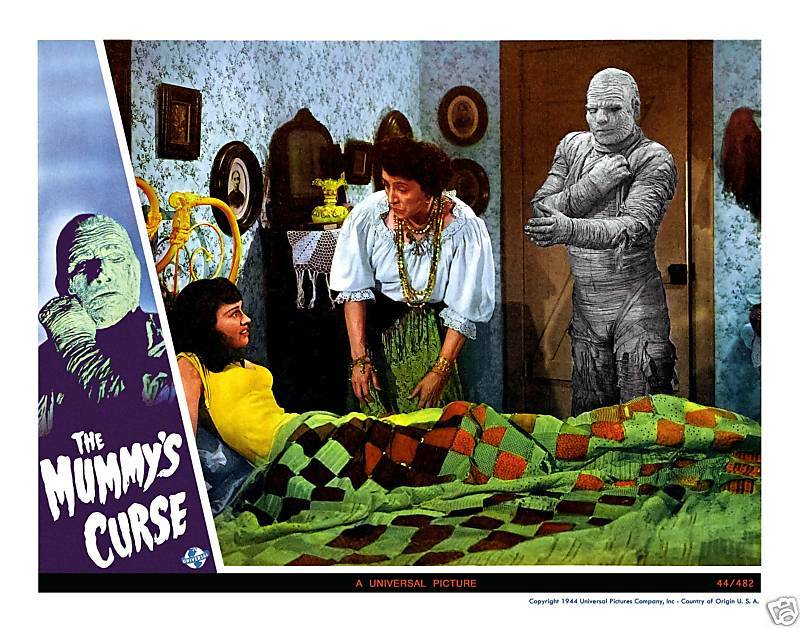 Here is a terrific image that someone put together of Lon Chaney, Jr. in his classic Universal roles. 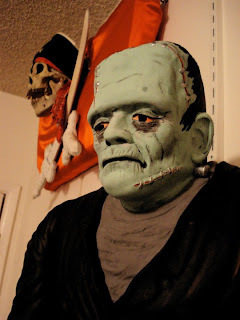 Karloff is being made up for his role in "The Mask of Fu Manchu". 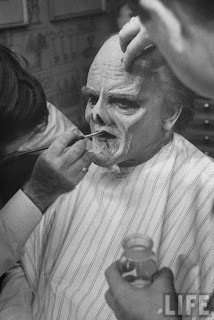 Here are some more shots of James Cagney from "Man of a Thousand Faces". Brining the Opera Ghost to life. 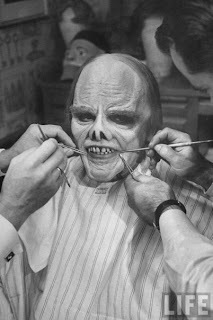 A little dental work and he will look like a million bucks! 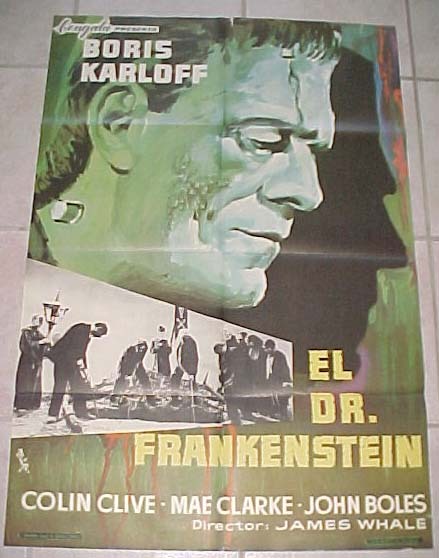 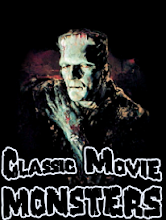 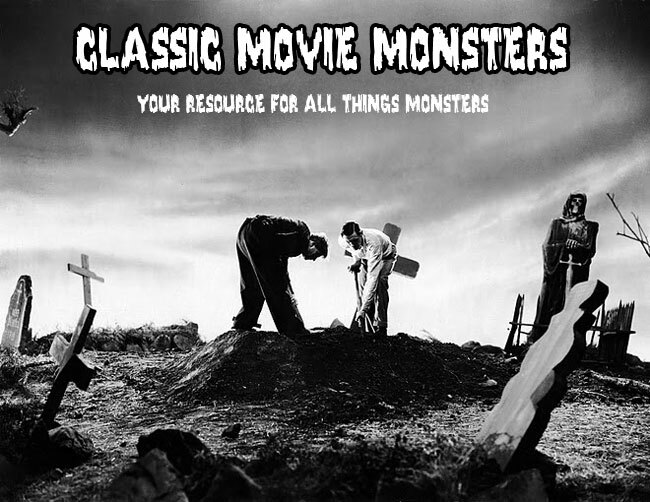 Lon Chaney, Jr. is Frankenstein! Here is Lon Chaney, Jr. as he appeared in "The Ghost of Frankenstein". Karloff and Rathbone meet for the first time in "Son of Frankenstein". Lon Chaney, Jr. with Sideburns!